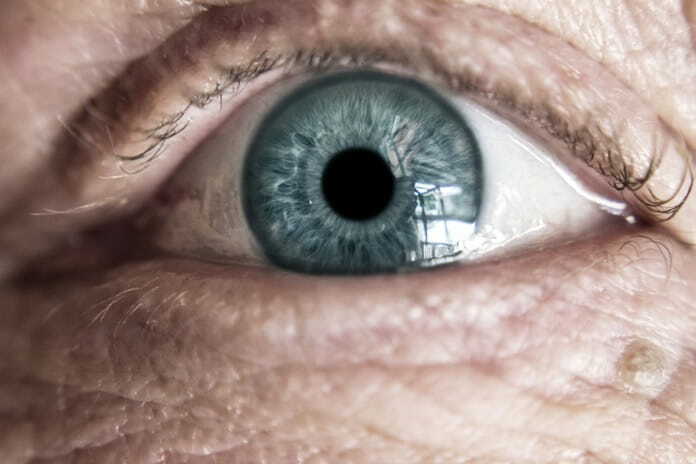 CAN STEM CELLS HELP TREAT AGE-RELATED MACULAR DEGENERATION? Macular degeneration is a common cause of vision loss in older people. Doctors recently tested a new surgical technique using stem cells that may help patients with macular degeneration regain their vision. Almost 10% of Americans over the age of 50 years suffer from age-related macular degeneration. Age-related macular degeneration is caused by the death or dysfunction of cells in the macula, an area in the center of the retina on the rear inner surface of the eye. This area is critical for high-resolution central vision, which is the visual field directly in line with the eye. It is needed for activities such as driving or reading. Macular degeneration tends to worsen with time, and can eventually result in the loss of central vision while leaving peripheral unaffected. Doctors have theorized that they could slow down or even reverse the progression of the disease if they could replace the dead cells in the macula. A group of doctors in the United Kingdom recently conducted a phase I clinical trial where they surgically implanted replacement cells, derived from human stem cells, in the eyes of two patients suffering from “wet” macular degeneration. This is the most severe form of macular degeneration, referred to as “wet” because it is associated with leaky blood vessels. They reported the results of the trial in the scientific journal Nature Biotechnology. Human stem cells, which can be obtained from very early-stage human embryos, can grow and divide without limit in the laboratory. Under the right conditions, they have the ability to develop into any other type of cell in the human body. For this study, the doctors isolated human stem cells that had transformed into retinal cells. They subjected the cells to extensive tests to confirm that they were the right type. They also surgically implanted the cells into the eyes of mice and pigs in order to confirm that they did not develop into tumors. After confirmation of their safety in lab animals, these retinal cells were placed onto the surface of a specially-treated polyester membrane, approximately 6 mm by 3 mm in size (0.2 by 0.1 inches). The cells were allowed to grow over the membrane, forming a “patch” with a living surface very similar to that of the interior of the eye. The trial patients, 60 and 84 years of age, had recently been diagnosed with sudden severe declines in vision associated with wet age-related macular degeneration in one of their eyes. In an operation under general anesthesia, lasting one to two hours, the patch with the new retinal cells was inserted under the retina of the diseased eye in each patient. A follow-up operation was performed 10 weeks later, under local anesthesia. Patients were given anti-inflammatory drugs for three weeks following each surgery, and an implant secreting anti-inflammatory drugs was deposited within the eye after the second surgery. These drugs were intended to suppress the immune response within the eye so that the patient’s body did not reject the foreign cells. The patients were monitored for a year after the surgery in order to identify any negative effects and look for any evidence of improvements to their vision. Unfortunately, both patients experienced serious adverse effects, requiring additional eye surgery. However, these were due to the anti-inflammatory treatment and the general surgical procedure, and not directly related to the implanted patch or stem cell-derived retinal cells. One year after the procedure, the new cells implanted with the patch still seemed to be alive and functioning. Most importantly, both patients had experienced substantial improvements to their vision. Visual acuity, as measured by an eye chart, was increased, and reading speed improved from 2 to 83 words per minute for one patient and from 0 to 80 words per minute for the other. The visual improvement was so substantial that one patient remarked that he could once again read the newspaper and work in his garden. The researchers will continue to monitor these patients over the next several years to see if the improvement in vision is maintained and to make sure that there are no other negative effects. It is also necessary to verify the effectiveness of the procedure in additional patients. Furthermore, both patients were suffering from the most severe, ‘wet’ form of age-related macular degeneration, and it is not clear if this procedure would be helpful to those with milder forms of the disease. Overall, the researchers considered the initial results to be promising, and hope to test the procedure in other patients. They hope that this could lead to a routine therapy that could be available to age-related macular degeneration patients within five years.